This is my Desire Map Day Planner. You will know it is mine, because of the metallic California 1 : Big Sur bumper sticker I have stuck on it's cover. Energized. Inspired. Free. In Love. 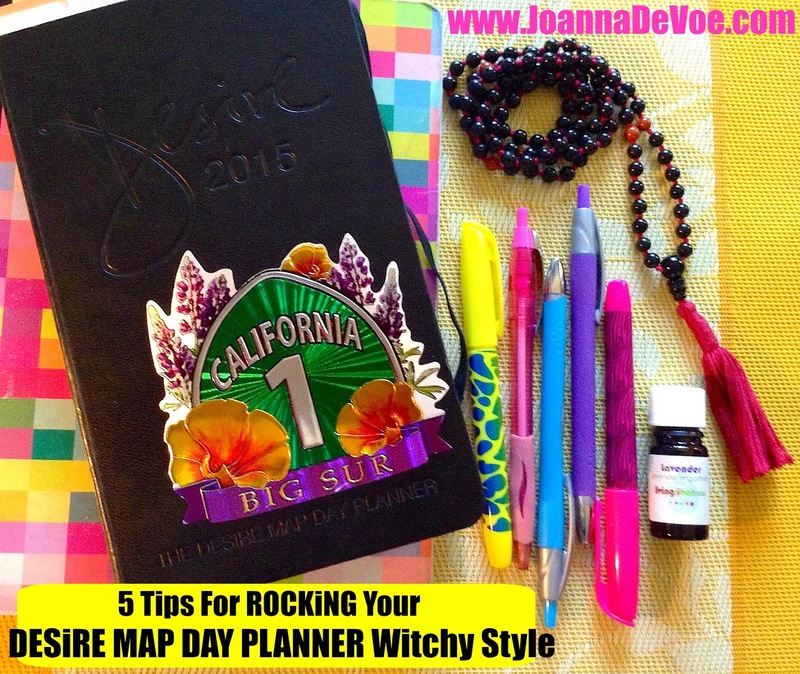 I've been an enthusiastic user & pimper-outer of journalesque agendas since I was a wee teen. Therefore- over time- I have developed quite the system for structuring MAGiCK into my day. There are a few blank pages at both the front & back of this planner (as well as a few groovy spots in the middle) that practically cry out for some woo woo collage action. Vision boarding is a gorgeous way to start ushering your goals toward reality, and using this space to create Vision-Boards-On-The-Go is fab for customizing your planner and keeping your most cherished dreams close to your heart. I start every morning with a tarot shuffle, drawing one card that will set the tone for the day ahead. Sometimes- if the mood strikes- I will do a more elaborate spread, but I always write down the name of the card(s) I pull that day, as well as any key words or phrases that I want to keep in mind around that. I'm a big fan of keeping a dream journal, but it does get a bit cumbersome when you've got a designated journal for every single one of your witchy routines- especially when you've got A LOT of witchy routines. 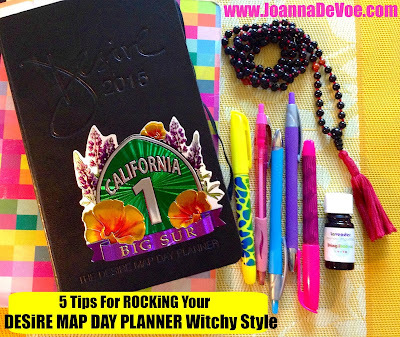 The "Notes" section of this planner is the perfect amount of space for tracking any patterns that show up again & again in your dreams, jotting down interesting bits of symbolism, playing around with your interpretations, and sending a clear message to your psyche that, "YES. I am going to show up for you this way every day, so- please keep sending these magickal dreams my way!" Financial Freedom. That is definitely one of my core desired feelings. 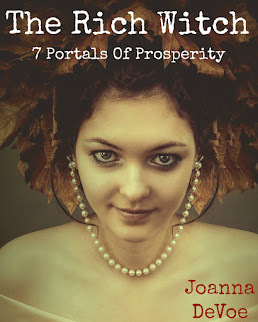 I want to feel FREE in all ways, and tracking your daily income can keep you present to your financial reality in a way that routinely connects you to your point of power, which is always in the present moment! There's a nice big stretch of white space across the top of each page that is more than enough room to record both your desired feelings and your daily income. 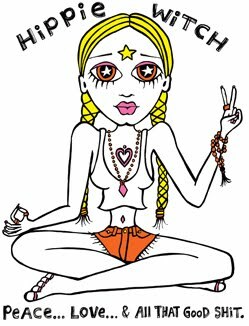 If you're working on transforming your relationship with money, this combo is super profound! 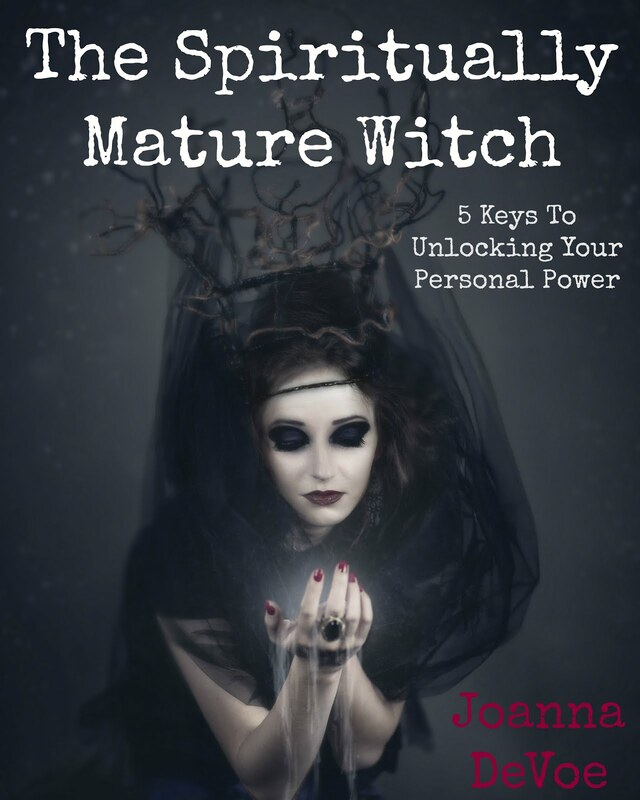 This is an awesome way to dive deep into one particular area of your life for a quality chunk of time and to keep an on going conversation with Spirit on that all month long. If you run your own biz, this is doubly awesome, because it allows you to invite your tribe into the conversation. This is a great way to not only lead by example but also to learn at an accelerated pace, as multiple perspectives will always add a whole new dimension to any theme. 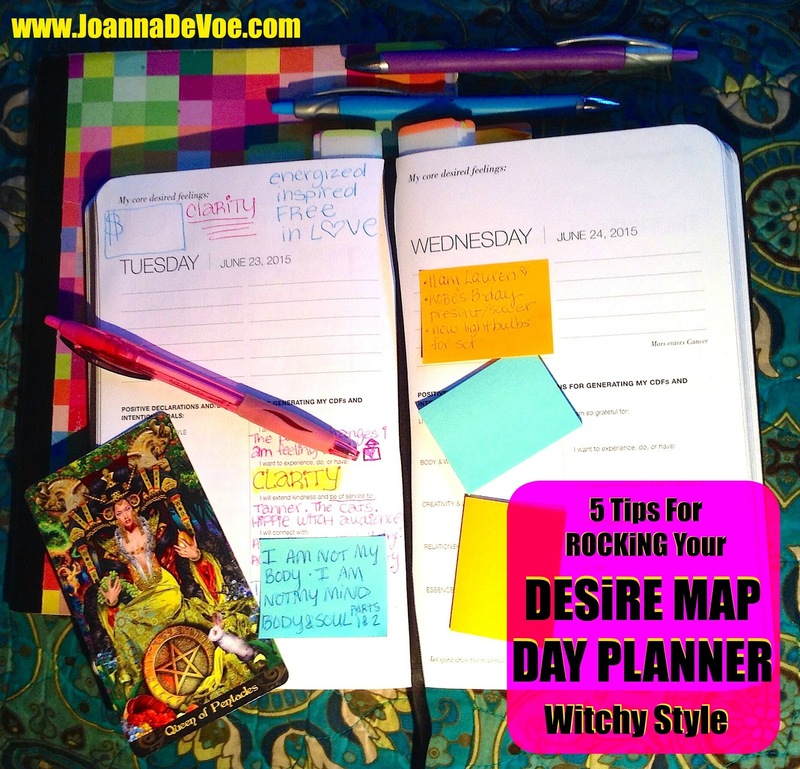 Do you have the 2015 Desire Map Day Planner or the evergreen model? 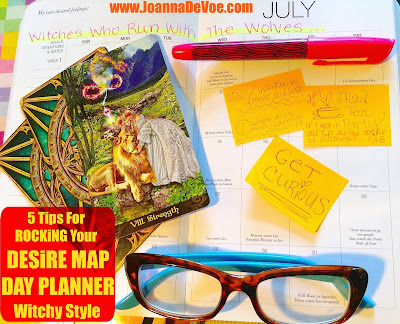 ★ You can buy your own Desire Map Day Planner HERE... And I totally recommend checking out Anne Ortelee's Weekly Weather Astrology every SUN DAY. This is fabulous! I will be following this format. I also downloaded the Anne Ortelee Weekly Weather Astrology to my phone so I can listen. 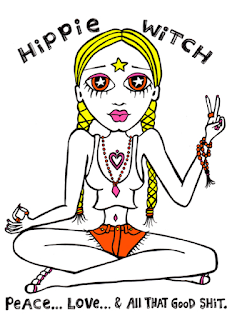 Already listen to Hippy Witch! !